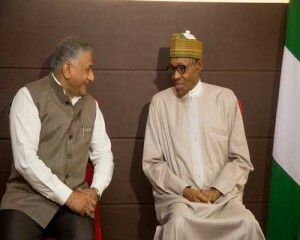 As part of his visit to New Delhi, India, to attend the 3rd India-Africa Forum Summit, President Muhammadu Buhari, has met with General V.K. 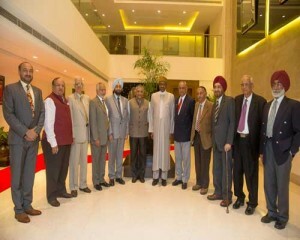 Singh and some of his Senior Alumni’s at the LALIT Palace Hotel in New Delhi and also with India’s Minister of Petroleum, Dharmendra Pradhan. 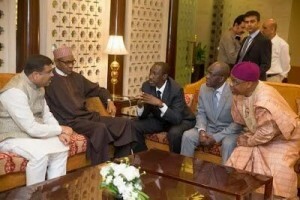 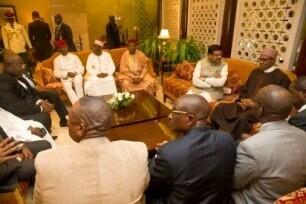 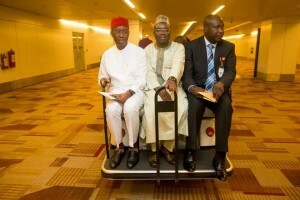 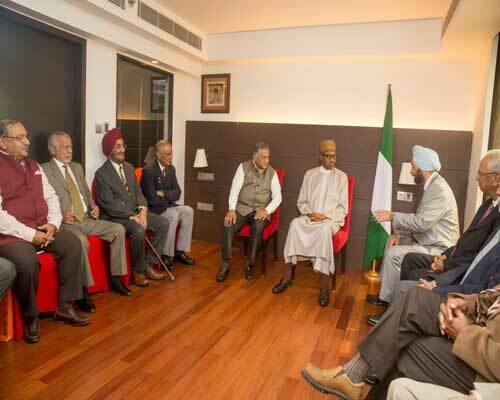 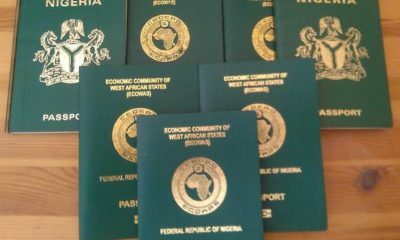 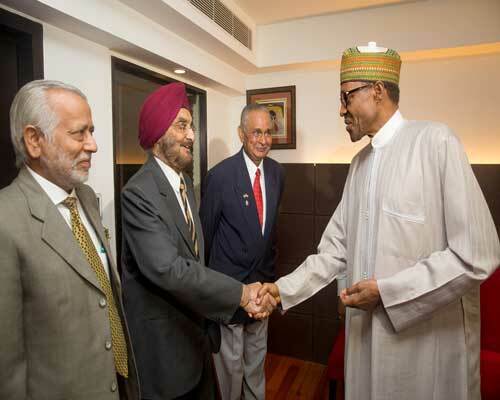 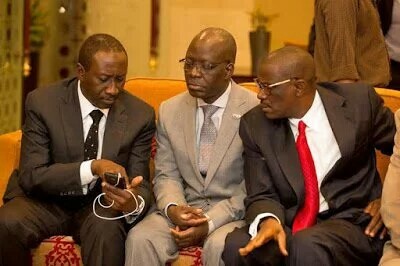 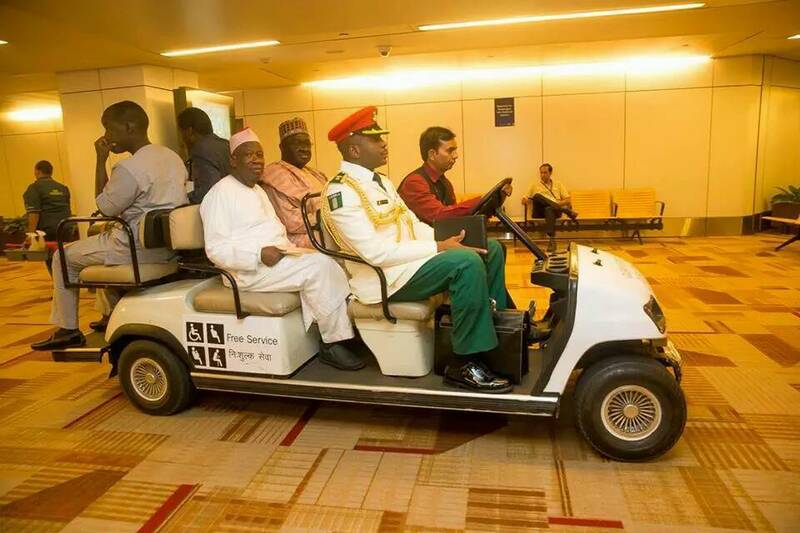 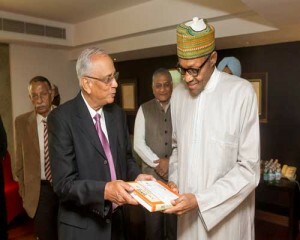 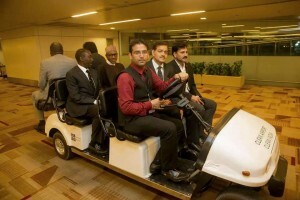 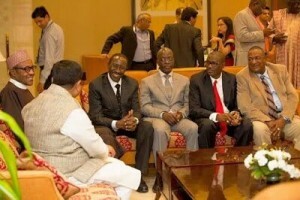 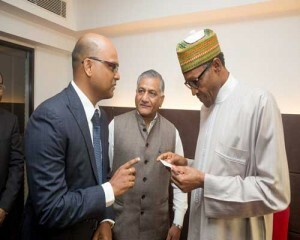 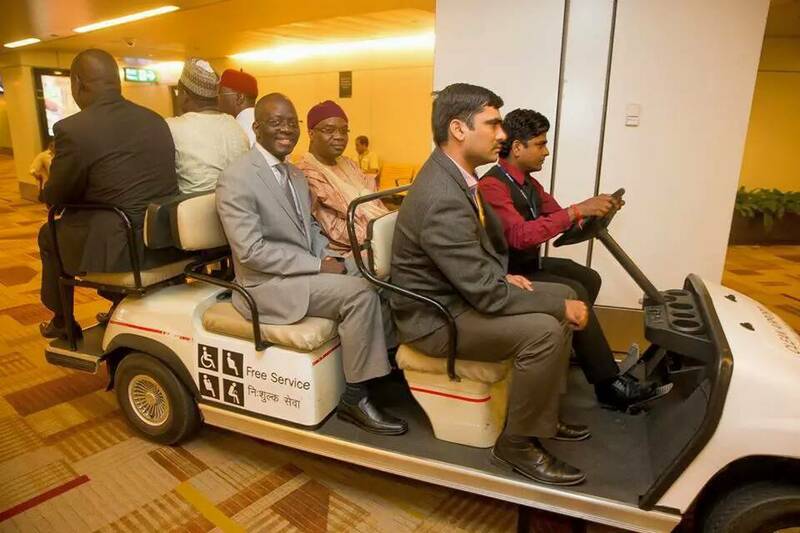 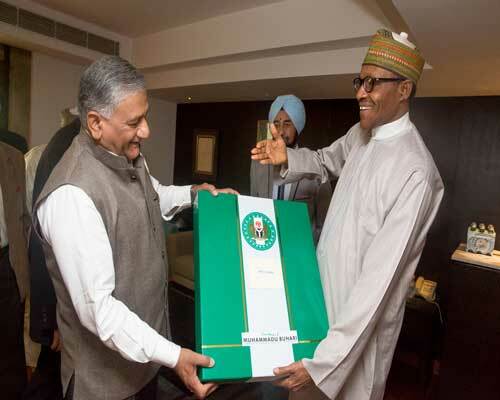 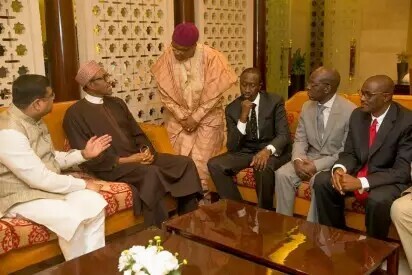 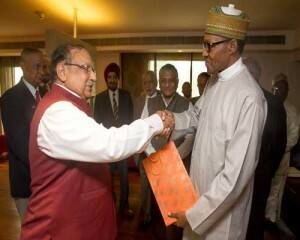 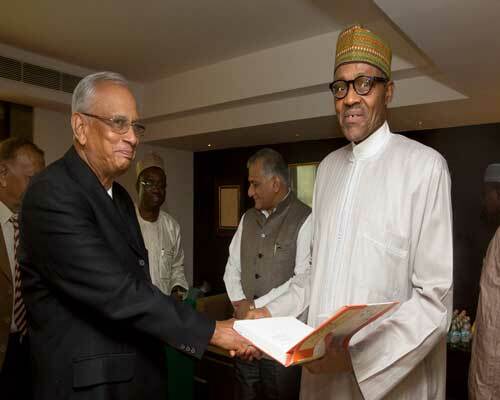 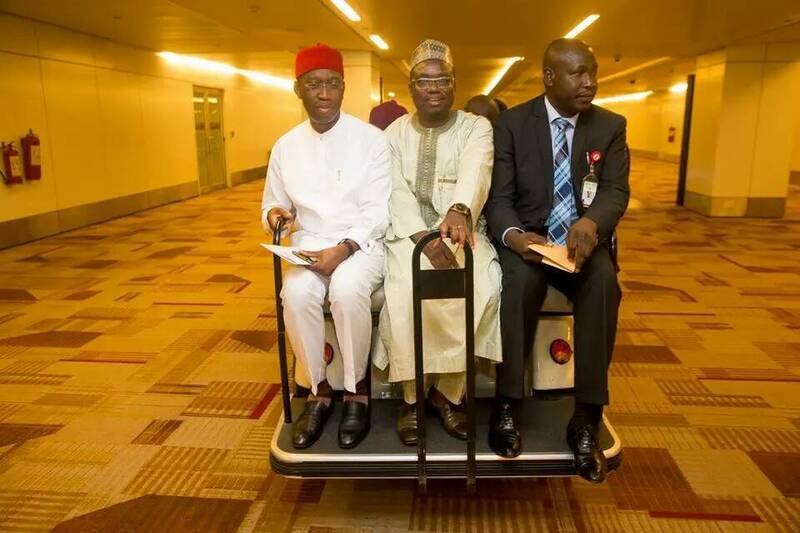 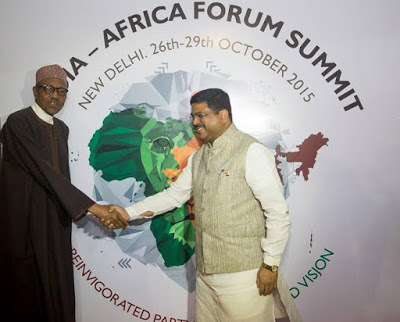 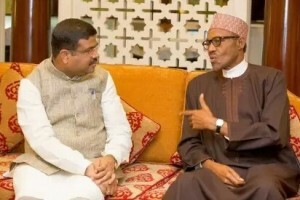 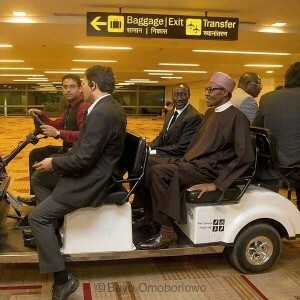 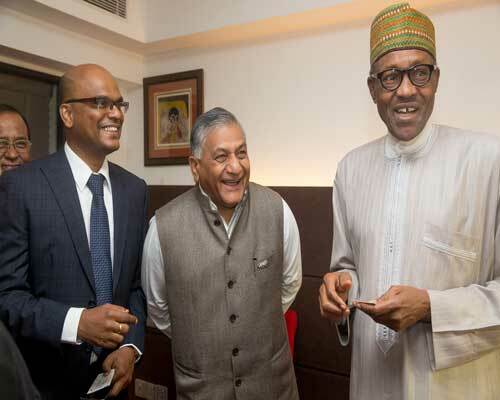 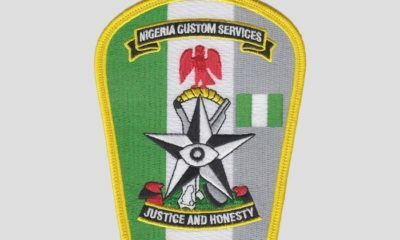 Where they discussed issues on how to further strengthen ties between Nigeria and India.